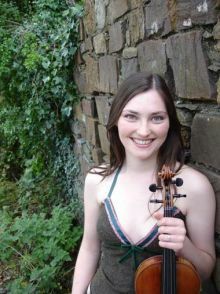 Irish fiddle player, Zoë Conway, is a prodigious talent, equally at home in both traditional and classical styles. From an early age she was surrounded by music as her brothers and sisters all played, and after learning the tin-whistle, banjo and piano, she began playing traditional fiddle. In Ireland, the classical and traditional music worlds rarely mix, but by her mid-teens, Zoë was competing and winning in both the classical feiseanna, and the traditional All Ireland competitions.